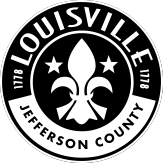 LOUISVILLE, Ky. (August 8, 2018) – Neighborhood residents in two Metro Council districts will decide how a portion of the city budget is spent in their districts. Our Money, Our Voice is an initiative of the Metro Department of Public Health and Wellness’s Center for Health Equity and Metro Councilmen David James (District 6) and Brandon Coan (District 8). Residents of those council districts will decide how $150,000 ($75,000 in each district) will be spent. Our Money, Our Voice is the name of Louisville’s participatory budgeting initiative. Originating in Porto Alegre, Brazil in 1989, participatory budgeting is a way for members of a community to work together to better meet their needs while having a direct say in government decisions. In the process, people often find new ways of interacting with government and with each other to create solutions for all. Participatory budgeting has been practiced in the United States since 2009 in such cities as Hartford, CT; Greensboro, NC; New York and Chicago.